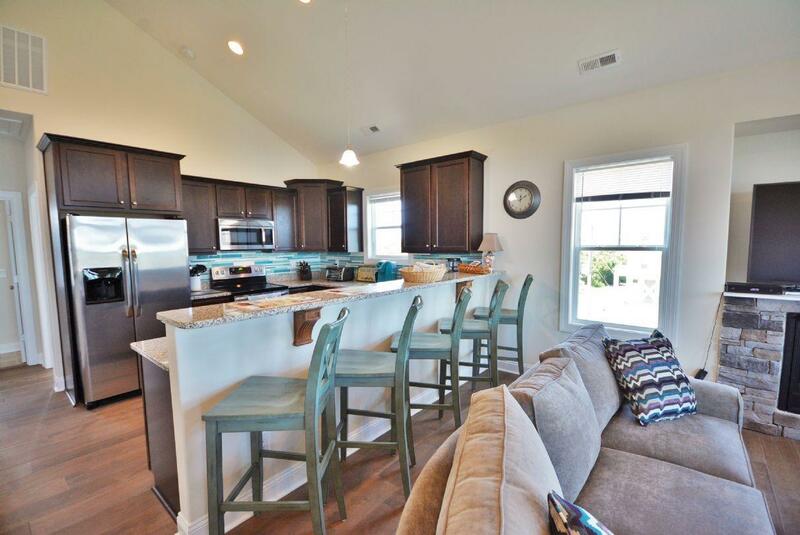 Get away and enjoy a relaxing vacation on beautiful Topsail Island in this brand new sound view stunner. 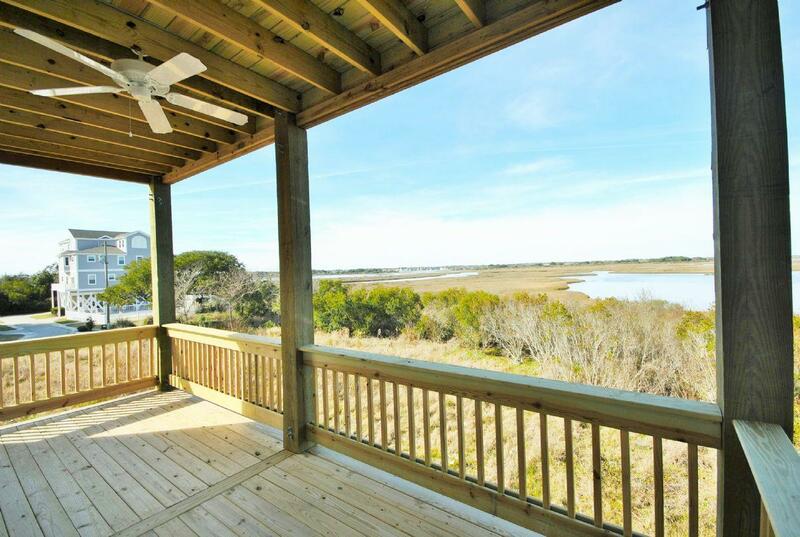 Located conveniently on North Topsail beach this duplex features 4 bedrooms and 3 bathrooms, this property is conveniently located to the ocean, restaurants and after-hours entertainment. The main entrance is located under the covered parking area. 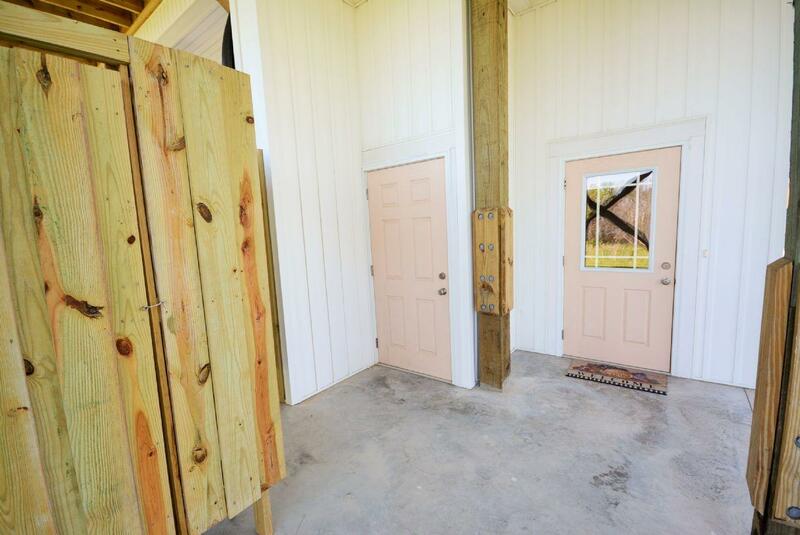 Once you enter, take the stairs up to the lower level featuring 3 bedrooms and 2 full bathrooms. At the top of the stairs, the tranquil master bedroom suite is located to the right. Here you will find a queen bed, en-suite private bathroom and sliding doors that lead to the private lower deck overlooking the Intracoastal Waterway. Spend a lazy morning enjoying a cup of coffee or a pot, take in the sounds of the wildlife as you feel the stress melt away. Down the hallway brings you to the second bedroom which boasts two twin beds, television and shares the full bathroom at the end of the hallway. The last bedroom at the end of the hallway is the third bedroom which features a queen bed, television and is located next to the full shared bathroom. Contunuing up the stairs brings you into the main living with panoramic views of the Intracoastal Waterway. The main living area has an open concept with the kitchen, dining and living room all open to each other. The living room is the perfect place for the entire family to be together, the plush sectional sofa provides the perfect place for movie night! 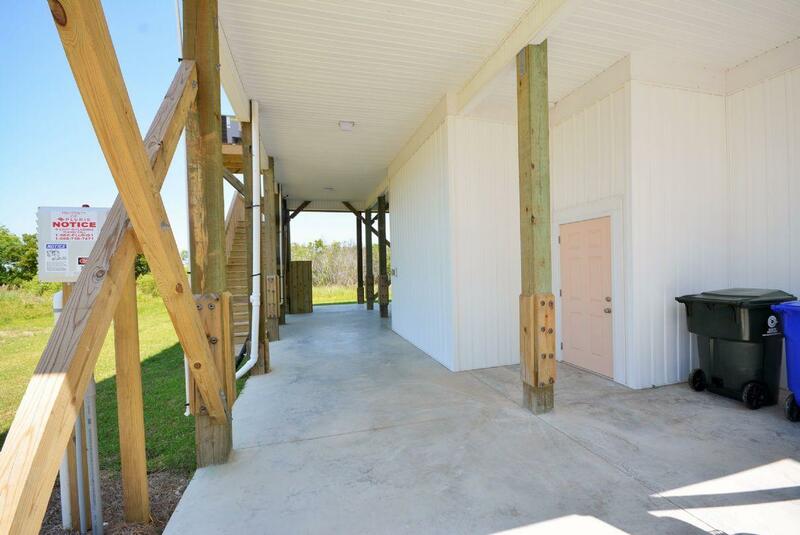 Access the upper deck off the main living area, relax in the sun or enjoy a sunset filled dinner. 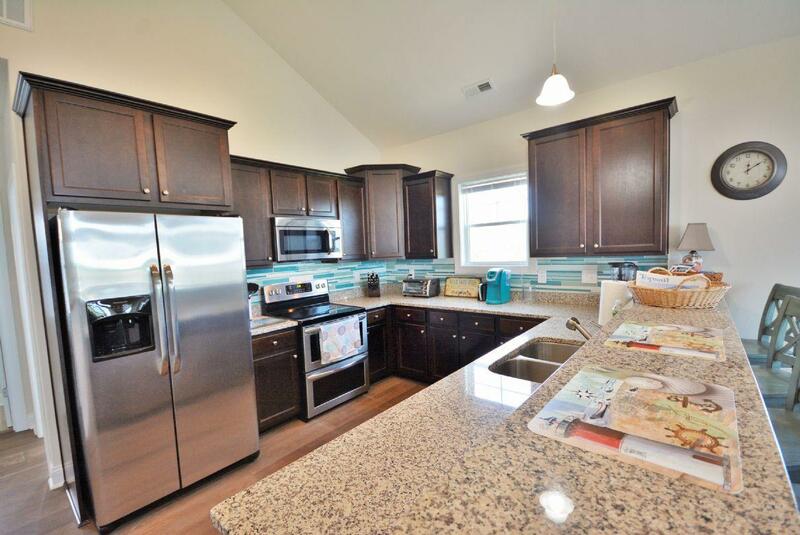 The spacious kitchen is fully equipped, it features stainless appliances, granite counter tops and bar seating for 6. The dining area is cozy and comfortable with seating for 6. Bedroom 4 is located just behind the kitchen, this bedroom features a double bed, television and shares the full bathroom located next door. Covered parking underneath for 2 cars plus 1 additional spot at the end of the covered area. 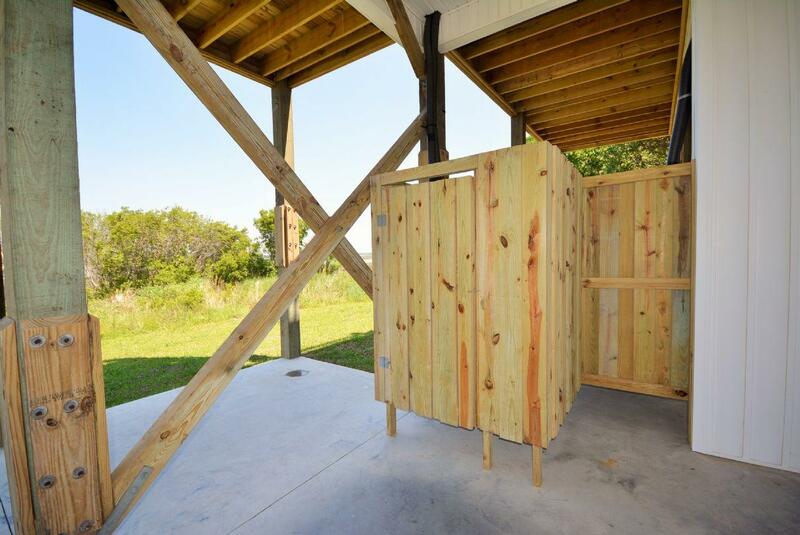 At the end of the day, enjoy rinsing off the sand and sunscreen in the hot/cold private enclosed outside shower. 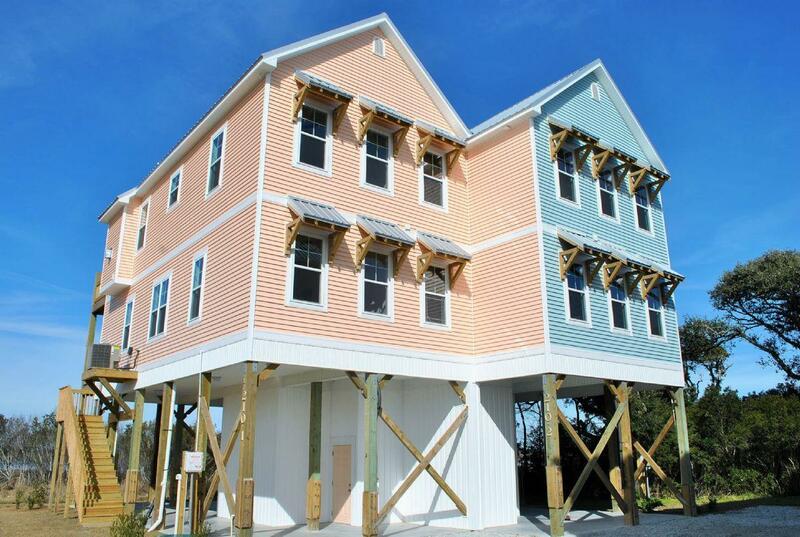 Enjoy a wonderful vacation full of sun, salt and sand at "Salty Dog". "Nicely furnished, new looking house with great views of sound. 1/4 mile from ocean." "This was an amazing place to stay. I wouldn’t mind stay there again." "We enjoyed our stay at the "Salty Dog" . It was a comfortable and clean house for us to unwind. We loved the beautiful view of the sound and saw lots of wildlife including deer, osprey, diving birds and pelicans. Wish we could have grilled out but the grill was not for guests. It was a great house for our extended family to relax and hang out." "The property exceeded my expectations. 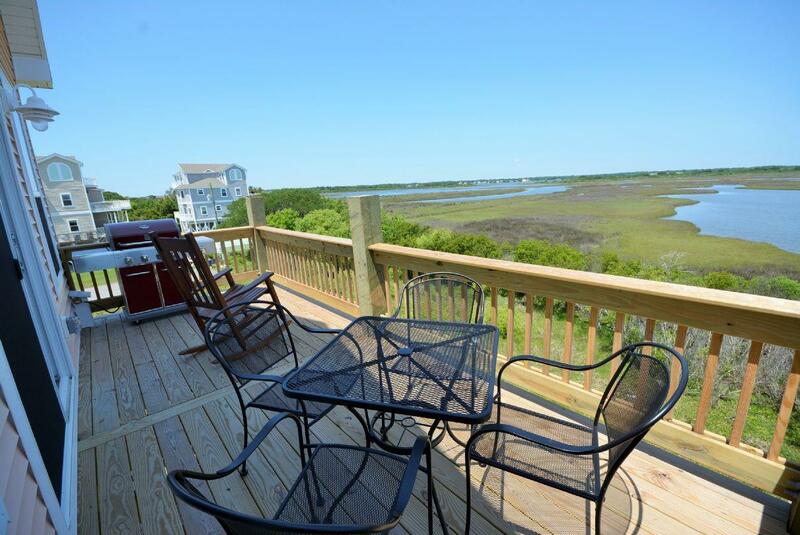 My family and I will return to the Salty Dog for our next trip to Topsail." "We had a wonderful stay. 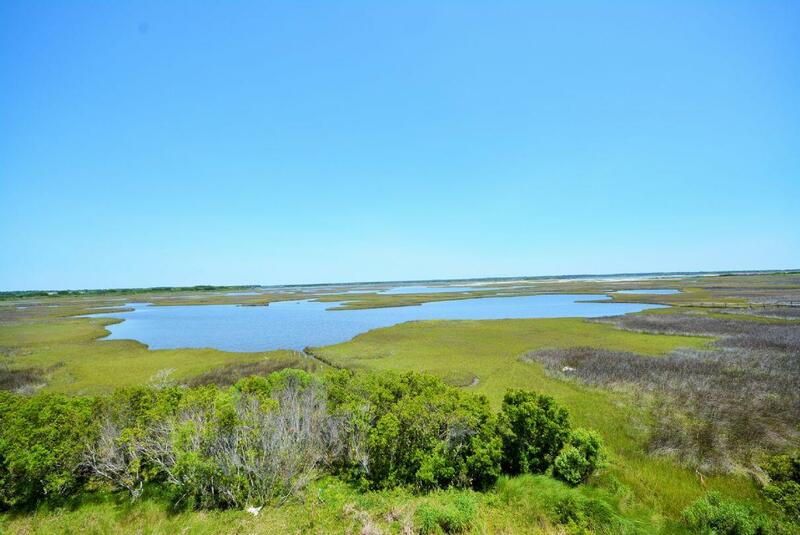 Beautiful location, gorgeous view of the sound and close to the beach! All new and clean! Two flights of stairs to the living area is a consideration for "not so young people"!"